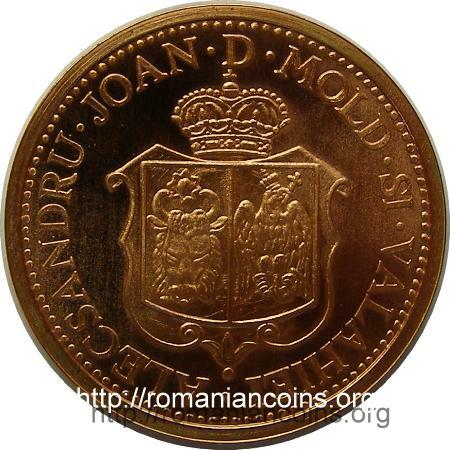 The pictures of the medals above are present on Romanian coins through the kind permission of Mr. J. Ardelean. 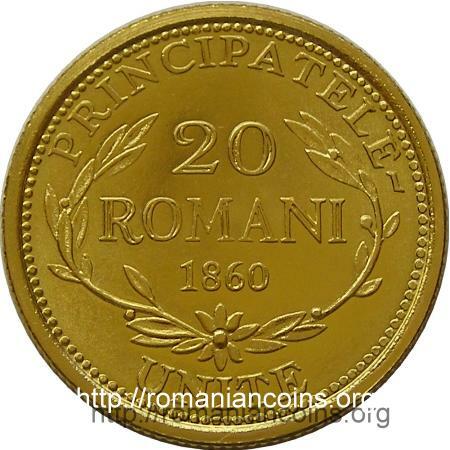 In the first three quarters of the 19th century, more than 70 coin species were admitted into circulation inside the Romanian Principalities - Moldavia and Walachia, Romania later - issued by various countries. Coins from neighbouring countries, Austria, Turkey and Russia, and from Great Britain, France or other European countries circulated in the Principalities. Sometimes, even coins that had ceased to be legal tender inside their issuing countries were still accepted for payments! The circulation of so many different foreign coins caused great losses to the national economy, and the exchange rates varied permanently. Some attempts from before 1867 to reform the monetary system failed. 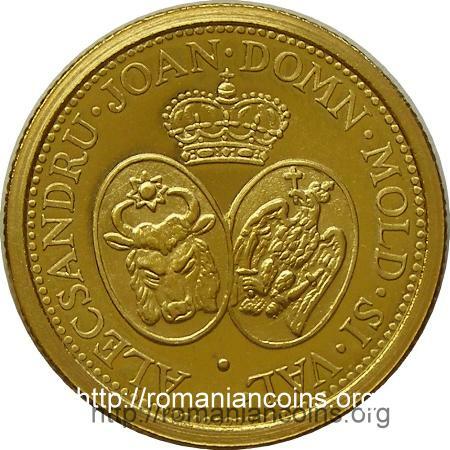 Between 1859 and 1860 Alexandru Ioan Cuza, the elected ruler of the United Principalities of Moldavia and Walachia, tried to introduce a new monetary system. 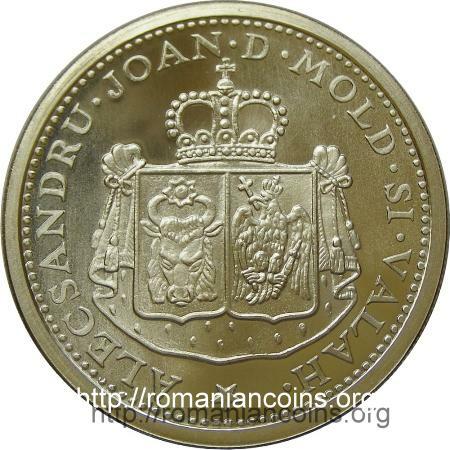 A very important role in this attempt was played by Victor Place, a great philo-Romanian and consul of the French Empire at Iaşi (the capital city of the Principality of Moldavia). Practically, the project intended to introduce the decimal monetary system of France. The coins should have been struck at Paris. 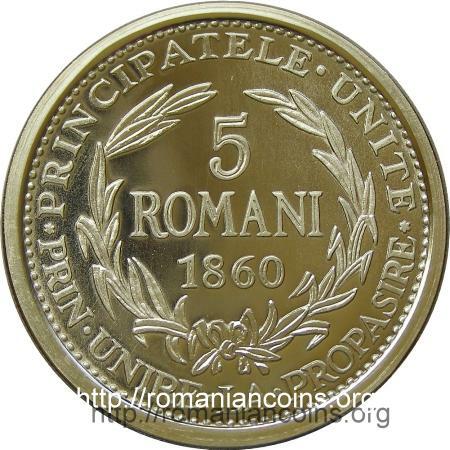 The monetary unit should have been named român (Romanian) or romanat, by analogy with the French franc. 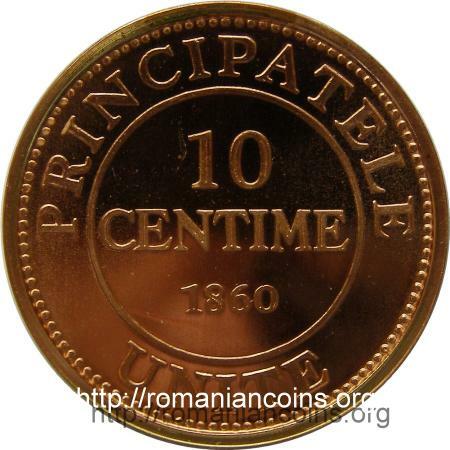 One român was to be divided into 100 centimes (cents). The coin projects immortalized in 2007 as medals were sketched in 1860 by the French numismatist Adrien de Longpérier, a friend of Victor Place. Longpérier was conservator at the Numismatic Cabinet of the Louvre Museum.